Yep. This took me longer to get to than it should have. 11 will hopefully be up by next weekend. Life is crazy busy and I’ve been fatigued of late. We open with Ren Mei waking up with a hangover. What happened last night? Just how much did she drink? She recalls Wen Zi’s words and wonders if it really happened or if it was just a dream. She runs smack into Tai and asks him if he and Wen Zi came into her room last night. Tai lies and says he didn’t—why does she ask? She tells him her vague recollection and he assures her it was nothing more than a very weird dream as if he isn’t Long Tian He, then who is he? Enter Ah Pan telling them that Wen Zi packed up and left early that morning. Both Ah Pan and Ren Mei wonder if they did something to offend the other girl. Ren Hu comes across the crying Wen Zi and asks what she’s sitting and crying alone for. Wen Zi immediately denies that she is crying. She then wonders why she has such bad luck to keep running into Ren Hu. He says their constant meetings are fated. Plus…it’s a small town. 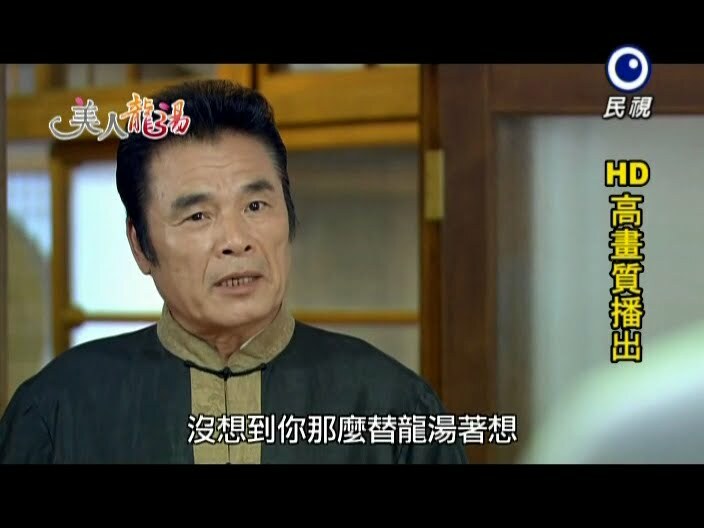 Since it’s such a small town, isn’t Ren Hu afraid the villagers will shun him if he keeps up his bad business tactics? Ren Hu, of course, again denies he had anything to do with the peeping and theft by Ah Xiang and Ah Lun. He then offers Wen Zi a place to stay since she has no money or passport. Tai comes up at this moment and is relieved to see Wen Zi with Ren Hu. If Ren Hu is treating her well as a customer, then Tai shouldn’t have to worry about her running wild on the streets. Meanwhile, Ah Xiang and Ah Lun are helping Xiao Xiang put the finishing touches on the snack shop. They offer their services in helping her out once it’s opened. They are willing to make deliveries and everything. This makes Xiao Xiang happy and she promises to split the money with them when she starts turning a profit. Back at the Long house, Xiao Xiang has Ren Mei test out her snacks. Ren Mei gives them her seal of approval since they taste just as Ren Mei remembers. This relieves Xiao Xiang who asks about Ren Mei’s future after Ren Mei volunteers her services to help out at the shop. 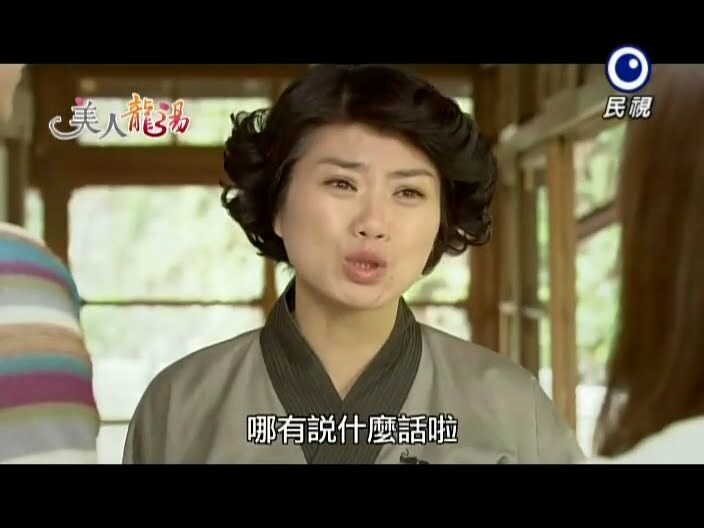 Ren Mei replies she has no dreams—the Zhao family as Ren Hu to take care of the resort, plus Ren Mei isn’t smart. Xiao Xiang reminds Ren Mei about her love of ballet, saying the younger girl shines when she dances. Ren Mei has only one life and should do what she wishes without worrying over what others think. Thanks to Xiao Xiang’s talk, Ren Mei goes to bed that night and holds her mother’s ballet slippers. Can she really go back after all of this time? The next day Ren Mei goes back to her old ballet school where she meets her former teacher. She asks if he recognizes her as she used to come to that school when she was a little girl. The man says nothing and Ren Mei goes to take her leave when he calls out her name. How could he forget her when she looks so much like her mother? Ren Mei then begs to be allowed to come back as she vows she will never give up on ballet again. The teacher demands Ren Mei prove it with her body. Ren Mei starts performing for him and after watching a little while, he tells her to stop. Her body clearly needs to remember ballet, but the talent he saw in her as a child is still there. So Ren Mei is accepted back in, making her happy. 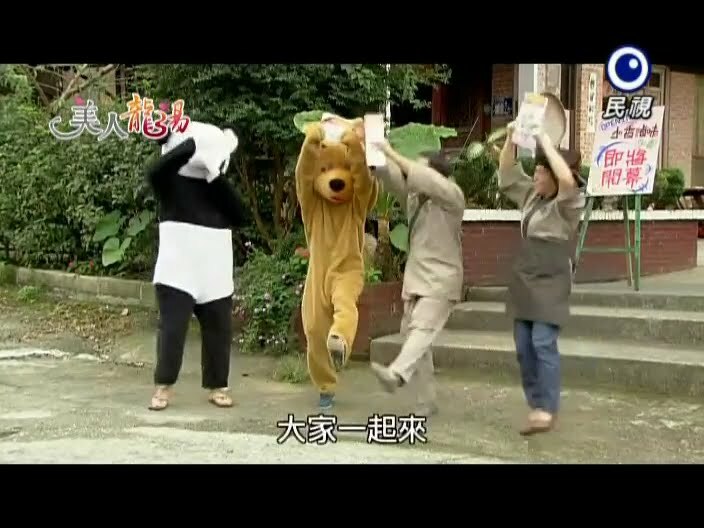 We get a cute scene with Ah Lun and Ah Xiang dressing up as bears to help pass out fliers for the opening of Xiao Xiang’s restaurant. Ah Pan and Lao Tu even got them dancing. Tai was even inside helping finish the preparations. 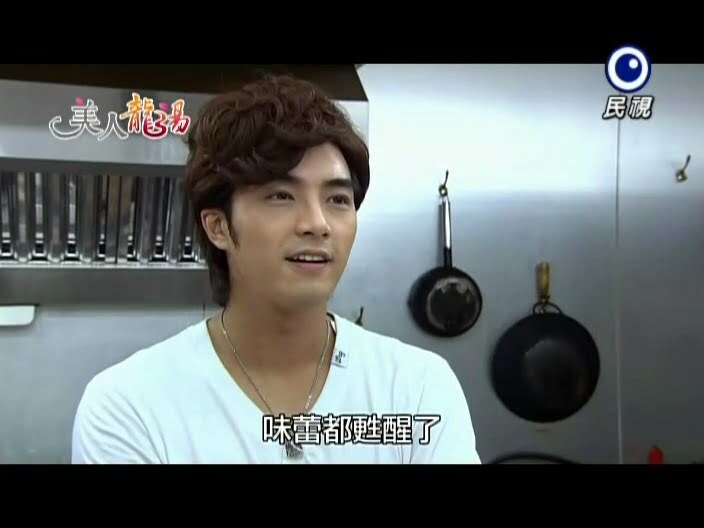 Xiao Xiang assures him that she is confident now that a granny told her that the tastes were the same. Tai then asks after Ren Mei and Xiao Xiang smiles and says cryptically that Ren Mei must be off doing what she enjoys. However, Tai knows what Ren Mei enjoys. He quickly finds her oggling costumes at a dance shop. The two go in and Tai picks out a granny outfit for Ren Mei and she insists on a younger, more revealing outfit. She goes to the cashier and asks for the pink one and sticks her tongue out at Tai. This has him smiling. He doesn’t care what she gets as long as she likes it and is happy. That’s all he wishes to see before he leaves. Driving home, he wonders if he will leave an impression on anyone before returning to his life as Ryuta. When he gets back to the Long house, he sees his father strain his back trying to dust something on a ladder. Lao Tu starts helping Long, but leaves to get something and Ryuta takes over, wiping his father’s back with a hot towel. Long notices it isn’t Lao Tu and smiles happily. Has his youngest son forgiven him? Tai decides that if he leaves, he wishes to make certain the hot springs won’t close down. Tai gathers Ah Pan and Tao Lu and says he wishes to create a new menu to attract customers. Ah Pan says that is beyond her skills as she specialized in cleaning—not cooking. If it wasn’t for Lao Tu cutting costs, she wouldn’t be working in the kitchen at all. Tai says leave the food to him and Ah Pan mentions about how good the Lady Boss’s cooking skills were and talked about how she worked all over Taiwan in different hot springs. So this is where his mother’s skills came from. Long then comes in and says that while the twins’ mother may not be there anymore, he still has her recipe book. Long is happy to know that his son earnestly wishes to help the hot springs. If Tai wants the recipes, Long will happily give them to him. He then says that he has let the resort decline under his management, so he is relieved and happy to have his son there to help safeguard it. Long then leaves and a tearful Ah Pan follows to get the recipe book while Lao Tu praises God for curing Tian He and making him care for the resort. Tai reads his mother’s recipes (they are all in Japanese) and sets about trying to recreate them. Ah Pan and Lao Tu watch him in worry as he seems very tired and is working nonstop. Tu tells Ah Pan to give Tai some tonic, but Ah Pan bulks since Tian He hates taking medicine the most. Tu believes that since Tian He has changed so much, then maybe his dislike of medicine has, too. Ah Pan brings the tonic and Tai tells them they are just in time to try his dishes. Tu offers his services and praises Tai’s cooking. Tai then tells Ah Pan to try some. Lao Tu then reminds Ah Pan about the vitamins. Ah Pan hands them over frightened and both are shocked by how easily Tai took the pills without complaint. They talk about how Tian He has changed completely. Is it possible Tian He isn’t Tian He somehow? Ah Pan then reminds Tu about the story about how the Lady Boss had twins and took one with her, leaving one there. Tu tells her to not overthink this, plus Long never confirmed nor denied the story. Ren Mei is practicing ballet and Granny Zhao comes to spy on her. Zhao had tried so hard to stop Ren Mei, but has decided to let her granddaughter do what she wants with no interference from her anymore. Good. Zhao turns to leave and accidentally bumps into a stand, making noise. This catches Ren Mei’s attention and she goes out of the classroom to find her grandmother. What is Zhao doing there? Zhao puts on a cold face and says the exact opposite of what she thinks. Tai comes to the studio at this time and catches Ren Mei standing up for herself and for the thing she loves the most—ballet. Tai is happy to see this and Zhao tells Ren Mei to prove herself or else Zhao will look down on her for the rest of her life. Ren Mei tears up. Such a crybaby. Even I understood her grandmother’s intentions. Zhao even tears up and feels badly for saying such things to her granddaughter, but she is doing this to make sure her granddaughter doesn’t give up again. Ren Mei must continue on and due what she loves. Meanwhile, Tai goes up to the crying Ren Mei and tells her not to cry anymore as there will be a day when Granny understands Ren Mei. He then drives the still crying girl to a spot overlooking the city to cheer her up. Why did he take her there? So she can regain her confidence and courage. He then yells out a fighting cheer for Ren Mei. This shocks Ren Mei. Tai then turns to her and says he believes she will be able to achieve her dream. Ren Mei smiles and then starts shouting a fighting cheer for herself as well. Tai wonders if Ren Mei will hate him later when she learns the truth. However, he has already decided to protect her until his brother returns as he doesn’t wish to see Ren Mei cry any more. The two head back home and thinks to himself that if he really ends up leaving, he wishes her to stand stronger than ever. Wen Zi is unhappily lounging in the best room that Ren Hu gave her. How can Tai not have called her at all? Isn’t he worried about her having gone missing all of this time? Why should she have to call him first. She rings his cell only to have Ah Pan answer. Enter Tai and Ah Pan comments about him just returning from finding Ren Mei. The angry Wen Zi hangs up and goes to have a dip in the springs where she curses at Ryuta being hers and an idiot. The splashing and yelling catches Ren Hu’s attention and he rushes into the bath to save her. This earns him a slap from Wen Zi. Is he a pervert? She yells at him to get out and he keeps apologizing and trying to say he was only concerned for her safety, but the embarrassed Wen Zi won’t listen to his apologies. They never shoot Ren Mei dancing in full frame, so I’m thinking they have a body double for all the leg shots. Anywho, Ren Mei’s teacher hands her an application for a dance troop. Ren Mei isn’t certain if she should try out for the troop or not since she has only recently returned to ballet. The teacher assures her that she is naturally talented and improving greatly in only this short time. The teacher has faith she will do well. Ren Mei agrees to try and the teacher reminds her that she can always return to his school as it will always be her home. Ren Mei happily thanks him. Tai goes to visit Ren Mei in the practice studio where he watches happily until she falls. It’s like he’s feeling her pain to. Ren Mei picks herself back up and tires the same move with bad results again. Tai rushes in and calls her an idiot for working too hard without resting which can hurt her. He then tells her to eat some food first to regain her strength. Ren Mei asks if he prepared everything for her. Tai thinks back to all the effort he put in and quickly lies saying he doesn’t have such free time. Ren Mei refuses the food as she’s afraid of getting fat, plus she’s having troubles learning the new move. Tai scolds at her for not cherishing her body and overworking herself. Ren Mei can’t even stand properly and this makes Tai even angrier. What will happen if she hurts herself and can’t dance anymore? Very true. You get she wishes to prove herself and not give up, but to go to the point where you damage your body and own health is never good and actually shows a lack of professionalism and self control. Tai piggybacks Ren Mei home. She tells him she can walk just fine, but he tells her it’s okay. Ren Mei then thanks him for his care. It’s a cute scene where they pretend to be a taxi driver and customer. Tai notices her necklace and asks if there is supposed to be only one shoe. Ren Mei says it originally had a pair, but after her parents’ death she saw one was missing. To her that was a sign she’d never get to do ballet again. Tai scolds her for such foolish thoughts. And Ren Mei smiles saying it would be great if she could find the missing slipper. She then asks her taxi driver to go faster as she is tired and wants to go home. Tai drops her and says he doesn’t care for her. Ren Mei stands depressed until Tai comes back and picks her up and starts running off. Tai was following Ren Mei and ends up painfully stubbing his toe. Just what is he sneaking around for? When he hears the water start running, he decides to implement his plan which is to steal the necklace so he can fix it for her. He worries over getting caught, but decides to risk it. As he opens the door, a hand touches his shoulder. It’s Ah Pan! She wishes to know what Tai is doing. He covers her mouth and takes her down the hall. Tai promises he isn’t doing anything wrong and will explain it all later. He then has her swear to not tell Ren Mei he was doing anything and bolts down the hall. Ren Mei comes out and asks what Ah Pan is doing there. Ah Pan says she doesn’t know as well. Ren Mei then says she thought she heard Ah Pan talking to someone. Ah Pan then says she wasn’t talking to Tian He at all. This confuses Ren Mei. Ah Pan also says she wouldn’t have believed it if she hadn’t seen it with her own eyes. They have a lustful youth in the house. She then tells Ren Mei to quickly finish showering and don’t forget to lock the door. Ren Mei still has no idea what Ah Pan is talking about. Later after Ren Mei goes to bed, Tai sneaks into her room with his phone. His goal is to snap a picture of the necklace, but the task is not easily accomplished. He even gets grabbed by the sleeping Ren Mei! He carefully extracts himself from her grasp and then tries to move her hair so he can get a clear shot of the necklace. He finally manages to get the shot he needs and then stares at his sleeping beauty. HE cannot resist snapping a picture of her sleeping face. After that photo, he tries an even riskier one. He climbs into bed with Ren Mei and snaps a picture of both of them. LOL. 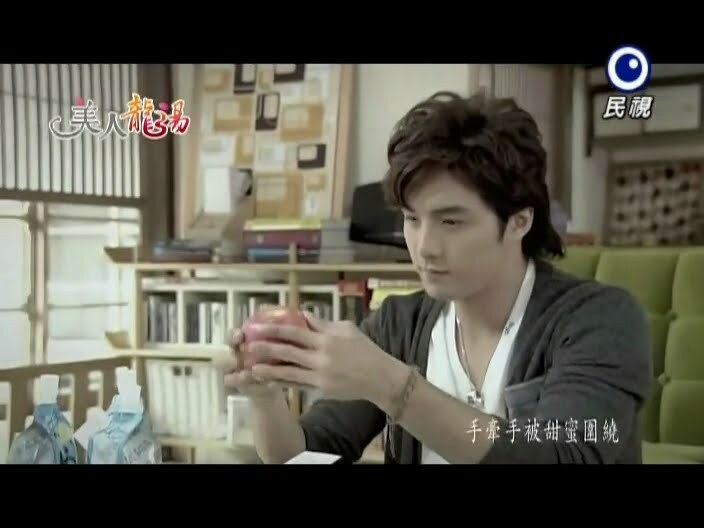 Ren Hu is drinking by himself and thinking about his first meeting with Wen Zi and the subsequent ones after that. He’s totally in love with this girl after such a brief period of time. It’s kind of cute. He has a redeemable side if he can give up prejudice and hate towards the Long family and his baby sister. 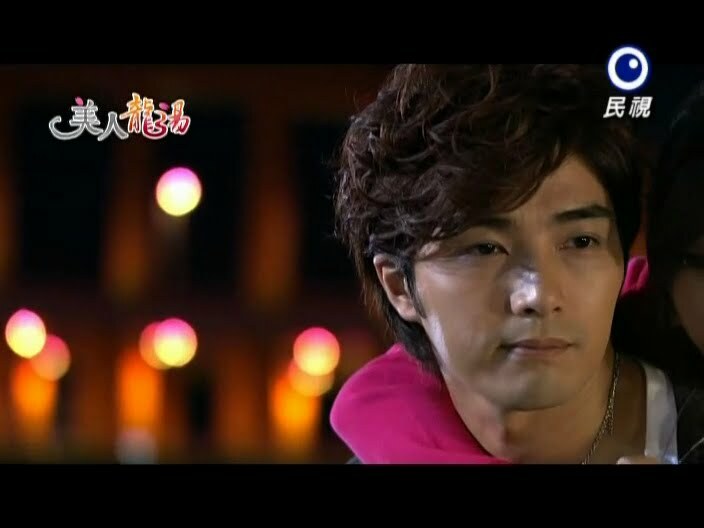 While he happily thinks about his lady love, Wen Zi tosses and turns unhappy about Ryuta not calling her at all. Is it because he’s too busy with Ren Mei that he’s forgotten Wen Zi’s existence. She then has a dream that she caught the two making out and tries to get in between them to no avail. Geez. This girl really needs to get over Ryuta/Tai as he is not the one for her. Wen Zi then hears a piano playing and goes out to the balcony. Below Ren Hu is passionately playing. Wen Zi gets dressed and goes downstairs. Nothing like a professional singer/musician showing their skills in a drama. It’s almost like a pied piper scene, Wen Zi keeps coming closer and closer as Ren Hu keeps playing. When he stops, their eyes meet briefly before she looks away. Ren Hu asks if she’s still angry as he did not purposely peep at her. Wen Zi asks if her temper can be cooled so fast. Ren Hu says all she needs to do is tell him and he’ll do it. Wen Zi asks for a sincere apology. Ren Hu smiles and then apologizes. Wen Zi says she doesn’t feel it and so Ren Hu gets down on his knees and apologizes. This shocks Wen Zi. How can he do that? What if someone sees? It doesn’t matter as he didn’t do anything wrong. He only hopes that he can cool her anger. Wen Zi cannot believe he’d go to such lengths for a customer. Of course it’s not because she’s a customer, but because he likes her. This shocks Wen Zi who wonders if he’s joking. Ren Hu smiles. He said it so openly, how can it be a lie? Wen Zi replies that be that as it may, she doesn’t like him. 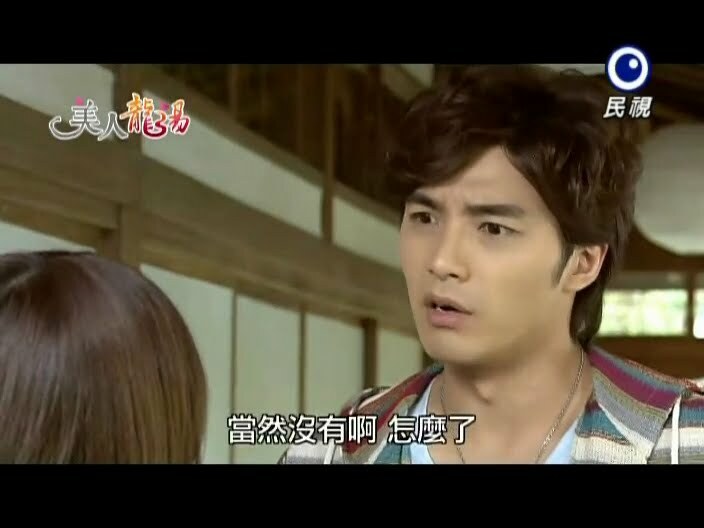 Ren Hu tells her that is okay as he is willing to wait as long as it takes for her to like him. 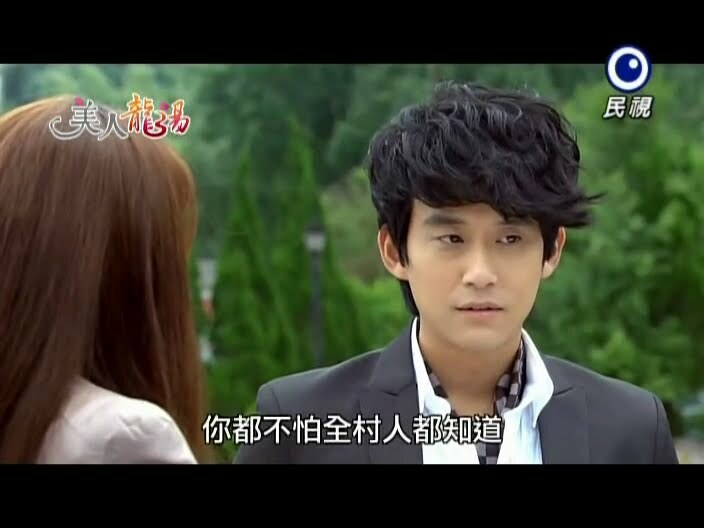 Of course, this mystifies Wen Zi and she can’t stop thinking about the confession and why Ren Hu would like her. She then gets angry that Ryuta isn’t there seeing another guy try to court her. She then runs into Ah Pan who tells her about Tai’s long hours of coming up with new dishes and invites Wen Zi back. Wen Zi promises to go back when she has time, but gets very unhappy when Ah Pan talks about how close Tian He and Ren Mei are getting. Wen Zi walks away and meets Tai. She tries ignoring him, but Tai won’t let her and asks if she’s still angry. He then asks how her stay is at the Zhao’s hot springs is. Why? Is he concerned? Tai tells her to go back to Japan first. Wen Zi gets angry. Will Tai really leave and come back to join her? Isn’t he supposed to take care of her? Tai pats her head and tells her to take care of herself first. He drives off and Wen Zi yells out asking how she can take care of herself without him. We end with Tian He’s return. The next episode looks like it will be intense as Tian He does not welcome his little brother and Ren Mei vows to never love or trust the lying Tai again as she packs up to head back home. Only 3 more to go. It will be quite the ride.